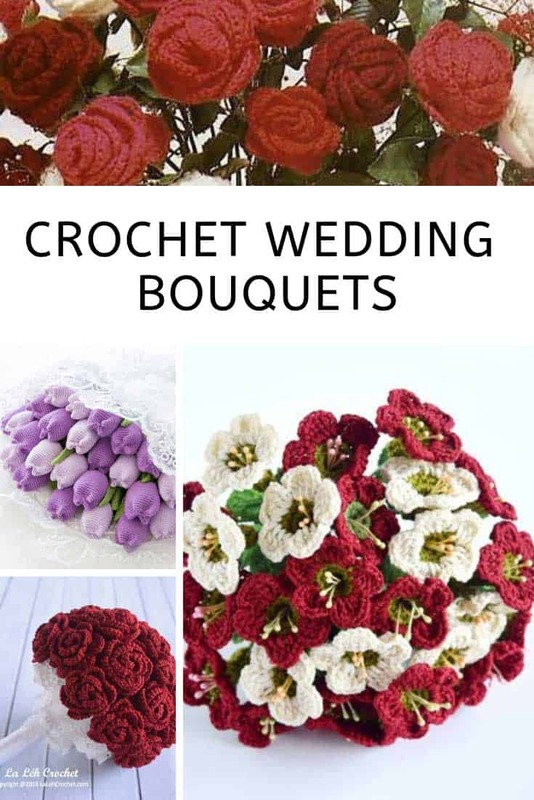 These crochet wedding bouquets are totally unique, and the flowers will never wilt so they’ll last forever! 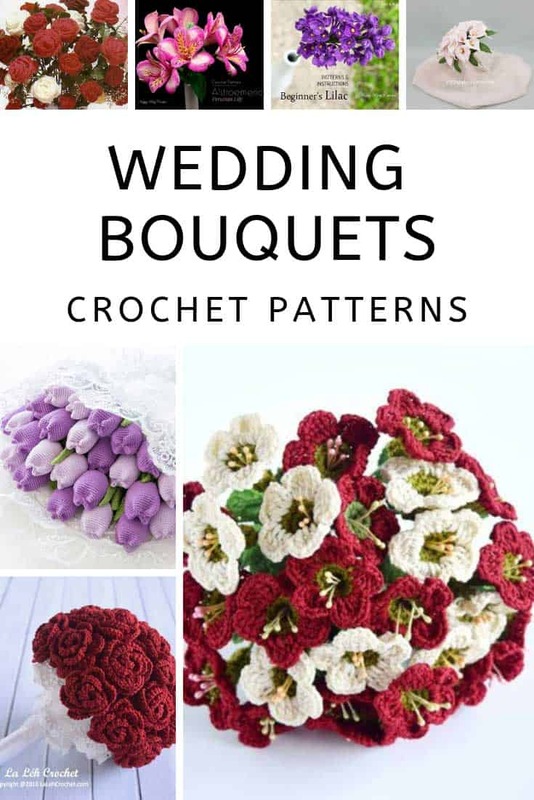 Ever since I shared the collection of flower crochet patterns that included a gorgeous crochet wedding bouquet I’ve had requests to share more patterns. So that’s just what we have today! 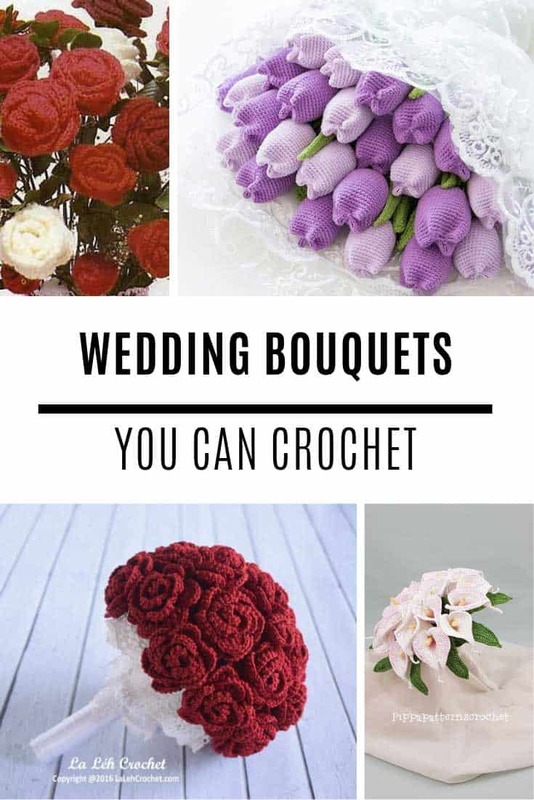 Whether you’re planning a wedding or a vow renewal a crochet bouquet is a wonderful way to bring your love for crafting into your special day. They also make a wonderful keepsake since the flowers will never wilt! 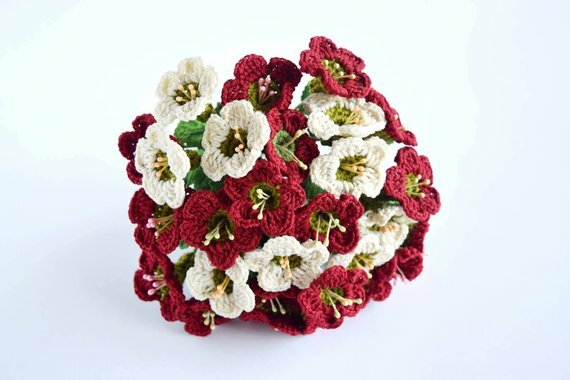 Crochet wedding bouquets are also a beautiful choice for bridesmaids and flower girls. 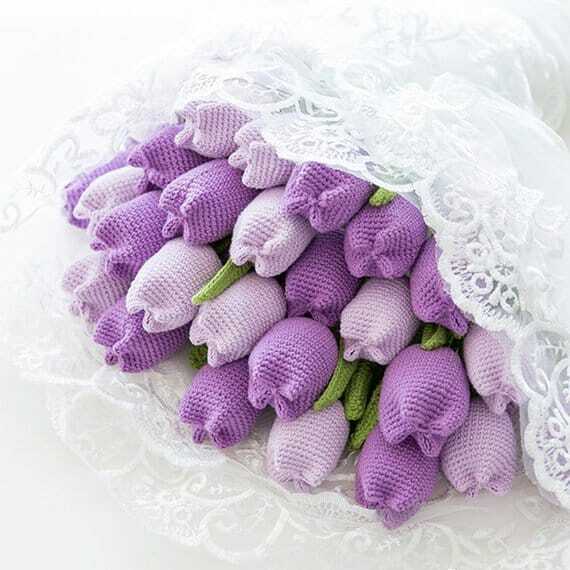 If you love tulips take a look at this pattern which will show you how to crochet a beautiful bouquet of amigurumi tulips. Or for something more traditional try these vintage red roses. The crocheted petals are applied to silk flower foliage and stems. 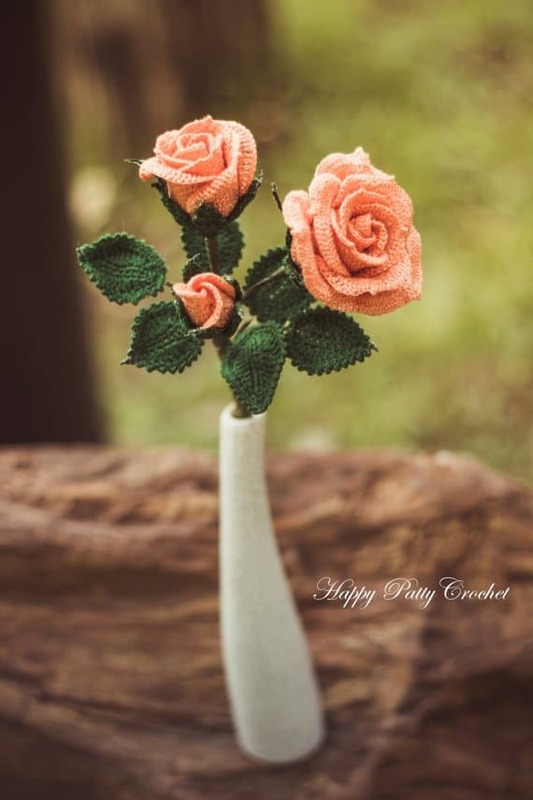 The pattern includes instructions for regular sized roses as well as miniature ones which can be used to make pretty corsages or button holes. Wow this rose bouquet looks exactly like the one I carried on my wedding day, right down to the lace around the bottom of the rose ball! If we ever decide to renew our vows I’ll be carrying this crochet version for sure! I like how this bridal bouquet design uses floral buds to bring the flowers to life. We have a whole bed full of calla lilies growing in our garden and I can see why so many brides choose them to make an elegant bouquet. The flowers in this pattern are so lifelike people will have to look twice to realise they’re not the real thing! 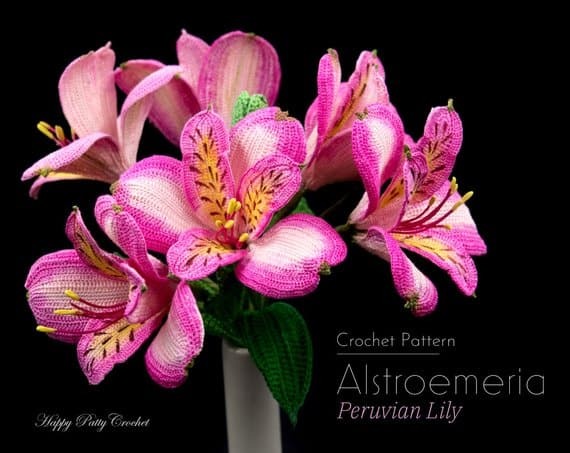 A bouquet of pink Alstroemerias will look striking against a white wedding gown. They’d also make wonderful table arrangements too. 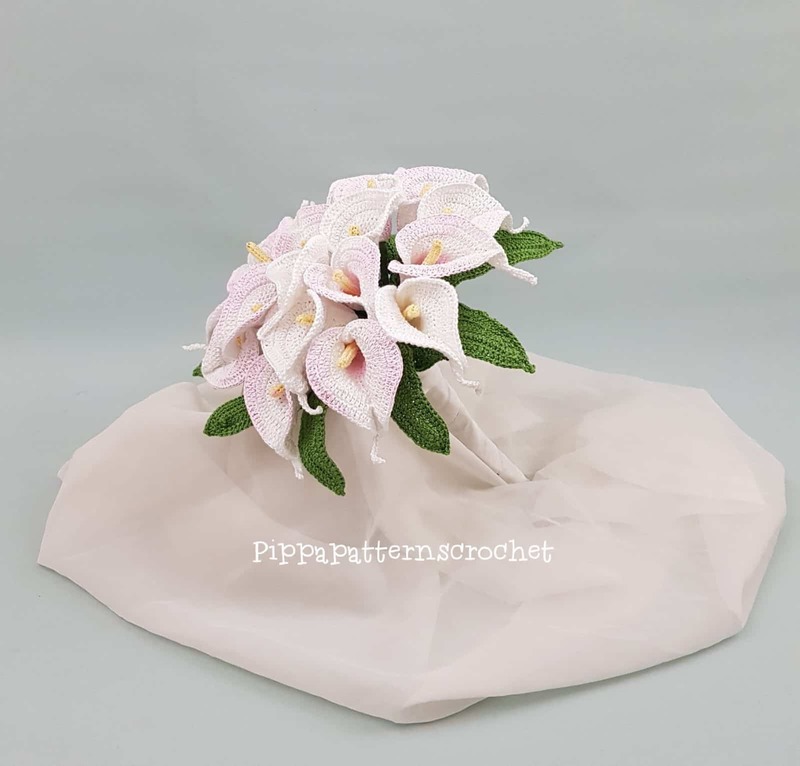 If you’ve only just started learning to crochet but really want to make your own wedding bouquet try this beginner’s pattern for making a beautiful lilac branch. If you’re planning an informal wedding a bouquet of sweet peas will look very pretty. 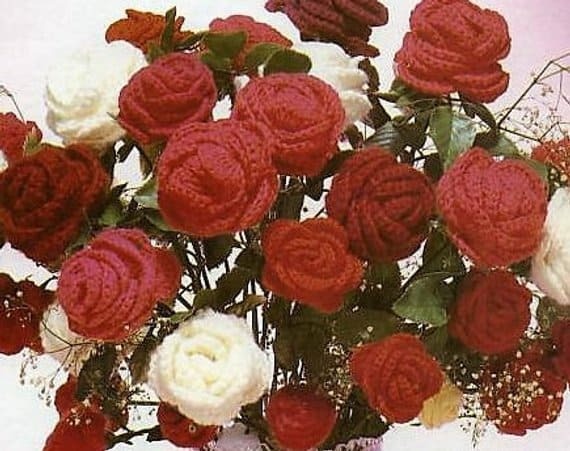 This vintage pattern also shows you how to make wired roses too. 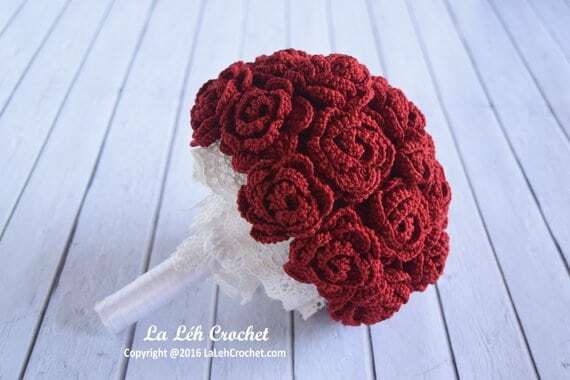 And let’s finish up this collection of crochet wedding bouquets with a beautiful spray rose. 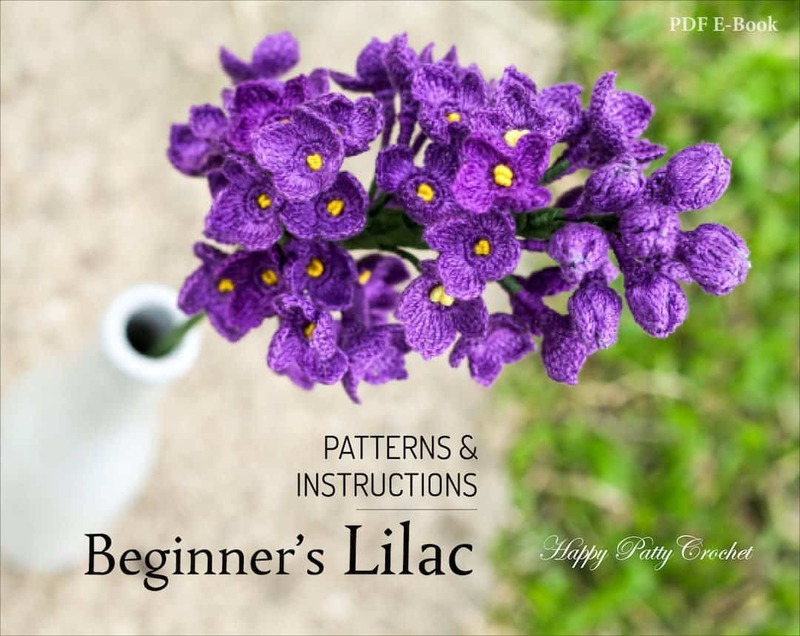 The pattern includes instructions for making a closed bud, half-open and open rose flower, as well as the sepals and a leaf. Combining these different elements will help you create a truly life-like bridal bouquet.